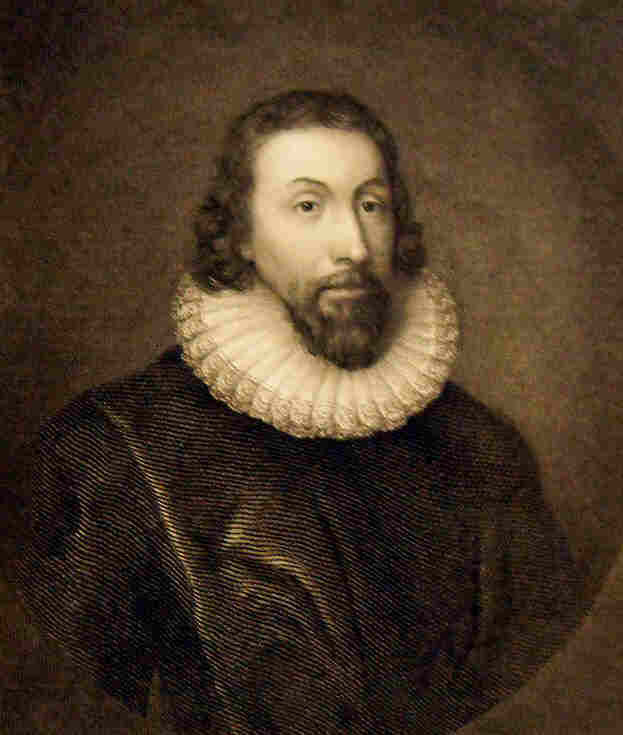 This entry was posted in Faith and the American Founding and tagged American exceptionalism, Bad Religion, city on a hill, Eric Metaxas, faith and history, Hugh Heclo, If You Can Keep It, John Winthrop, Model of Christian Charity, Ross Douthat, Steven Woodworth. Bookmark the permalink. Tracy, one of your old Vanderbilt profs here. Why doesn’t Winthrop’s use of Matthew 5:14 do both? The complete verse reads “You are the light of the world; a city on a hill cannot be hid.” That says to me that Winthrop in fact saw their mission as of world-historical significance. But *for that very reason* he warned them that failure to create the ideal Christian community would discredit the very aspiration that sent them on their errand. 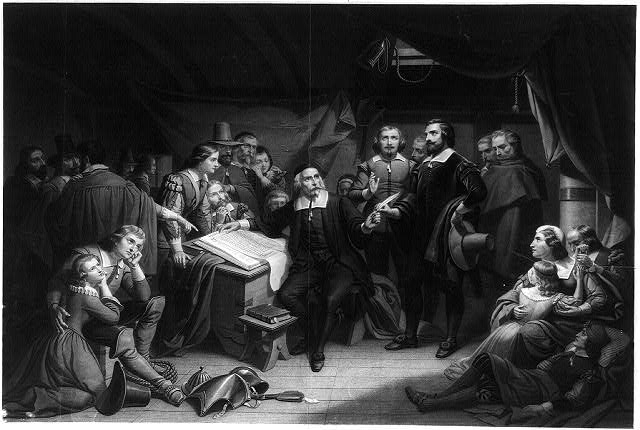 It was both the aspiration and the fear of failure that underlay the great Puritan tradition of the jeremiad, which has resounded through American oratory in orations as diverse as Frederick Douglass’s “What to the Slave Is the Fourth of July?” and Lincoln’s Second Inaugural Address. A nation that is appointed with a divine mission is also under God’s judgment. You rightly worry that sacralizing America has dangerous consequences, but by neglecting the responsibility that comes with chosenness you may be throwing the baby out with the bathwater. Having just witnessed our 4th of July celebration (on TV, unfortunately), I note that we sing “God bless America” as a prayer for God to bless and preserve us. This is appropriate and timely and I don’t think it out of bounds to ask God to make us a blessing to other nations, but to declare that we know that God’s purpose for us is to replace Israel as His chosen people defies all Scripture and horribly skews our vision for the future. I may be wrong, but I think that the British, at the height of their empire, likely had similar thoughts. After all, they were quite determined to prevent the Jews from returning to Israel after World War II. Correct me if I am wrong but I don’t think Winthrop’s sermon has been added to the canon of Scripture and I find no evidence that God’s covenant with the Hebrew people has been abrogated! I think Eric is trying to stir the embers of the culture wars that our nation has gone through so as to revive the spirits and determination of the evangelical Christian population to “make America great again!” Let us pray that Christians will become the “salt and light” the nation needs to bring glory to God in a fallen world. 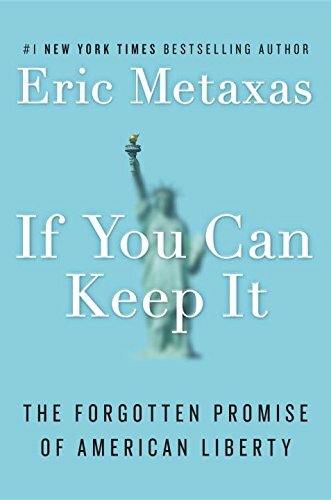 Thanks for your review and critique of Metaxas book. Good to hear a historians perspective. I hadn’t realized Reagan (and subsequently Metaxas) had added the word ‘shining’ into the phrase. I did notice that the original source for this phrase is Matthew 5:14 which states in full, “You are the light of the world. A city set on a hill cannot be hidden.” The sentence before the acclaimed city on a hill reference indicates a shining: “light of the world.” Obviously, the salt and light parable is not a political treatise by Jesus, but it does seem to indicate the Winthrop is implying that not only will their enemies looking upon them, but they are to be an example as well. In fact, people watching them is not mutually exclusive from being an example as well. Instead of being either/or couldn’t it be a both/and. Thanks again for the thoughtful insights you provide. Happy fourth of July. Richard Gamble’s book on the quote and it’s history in American politics is terrific. Wow, thanks for putting that into context. I have a lot of questions, but will save them until a read some more. Thank you.